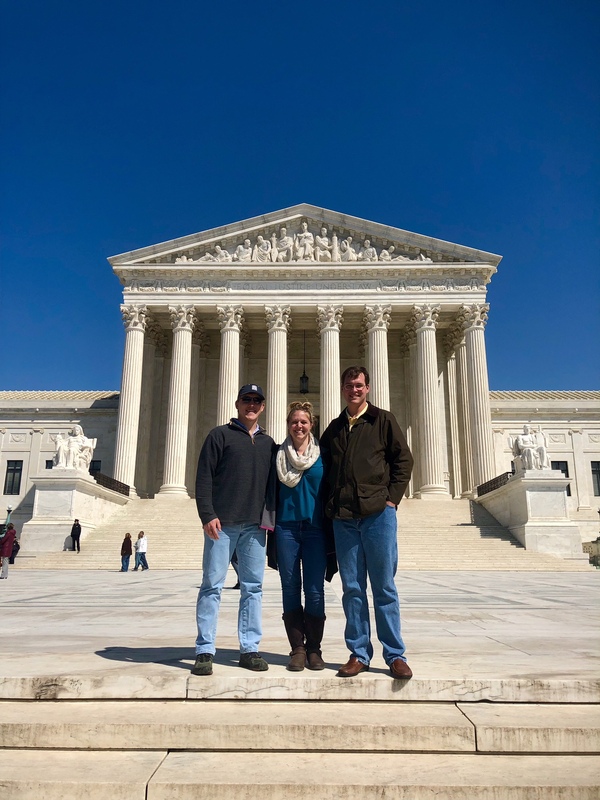 Samford University’s Cumberland School of Law Mediation Team completed the 2018 competition season finishing third in the American Bar Association (ABA) Representation in Mediation National Competition held recently in Washington D.C.
Third-year students Ranse Hare of Grove Hill, Alabama, and Ryan Hawks of Murfreesboro, Tennessee, won their regional competition in February, securing their spot in the national competition. Eight teams from across the U.S. were invited to compete in the national competition, which consisted of two preliminary rounds, a semifinal round and a final round. During the preliminary rounds, Cumberland faced St. Mary’s University School of Law and Ohio State University’s Moritz College of Law. At the end of the first day, the top four teams advanced to the semifinal round, Cumberland being one of these teams. Cumberland came back the next day to face University of Denver’s Sturm College of Law in the semifinal round, ultimately being defeated two votes to one. Sturm would go on to win the national title. “I’ve coached these two students for the last two years and am so proud of what they have accomplished these past two seasons. Finishing off their law school careers with a third place finish at a national competition isn’t a bad way to go out,” said head coach Krista Cowley, a 2015 Cumberland graduate. The team was also coached by Miranda Coley Taylor, a 2017 graduate. The competition is intended to familiarize the students with advocacy skills in mediation. Students are judged on criteria designed to reward the use of a combination of advocacy skills, problem-solving approaches and productive conversation.